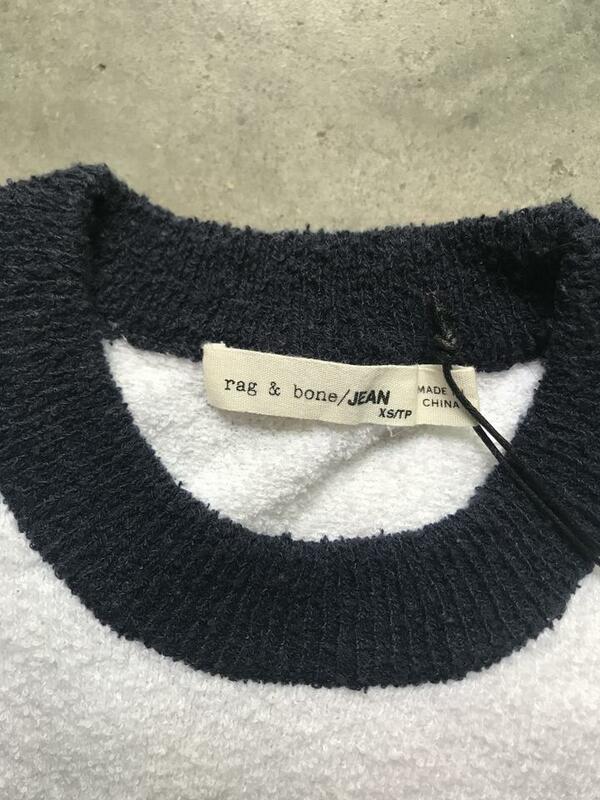 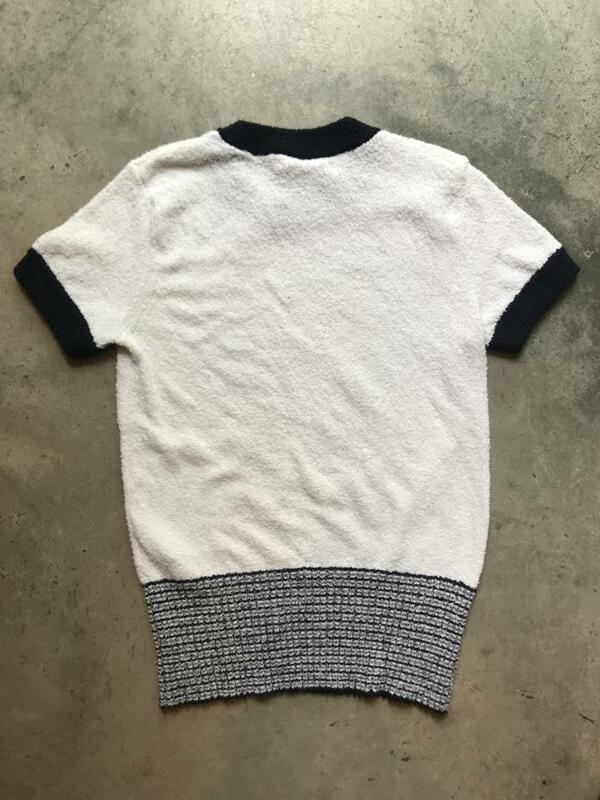 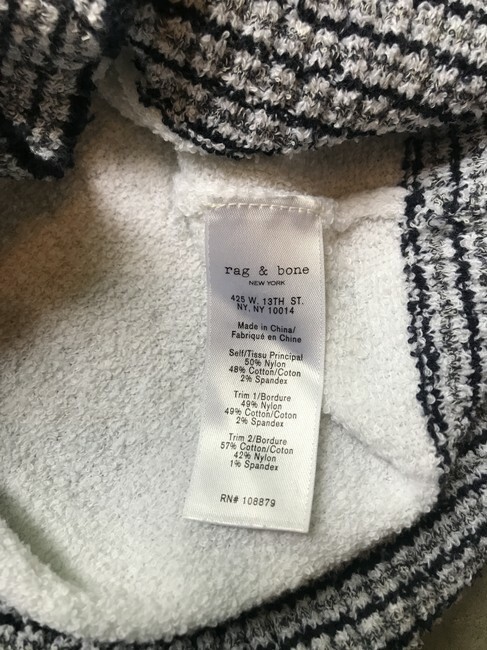 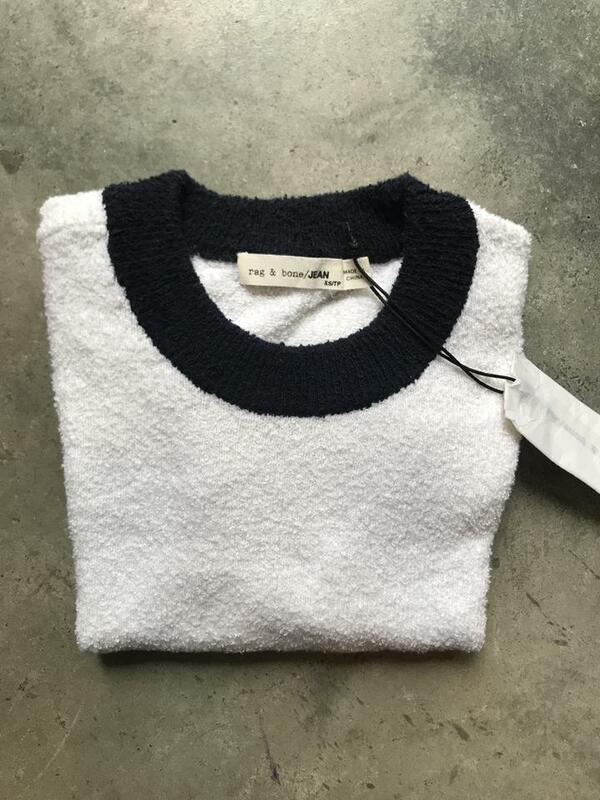 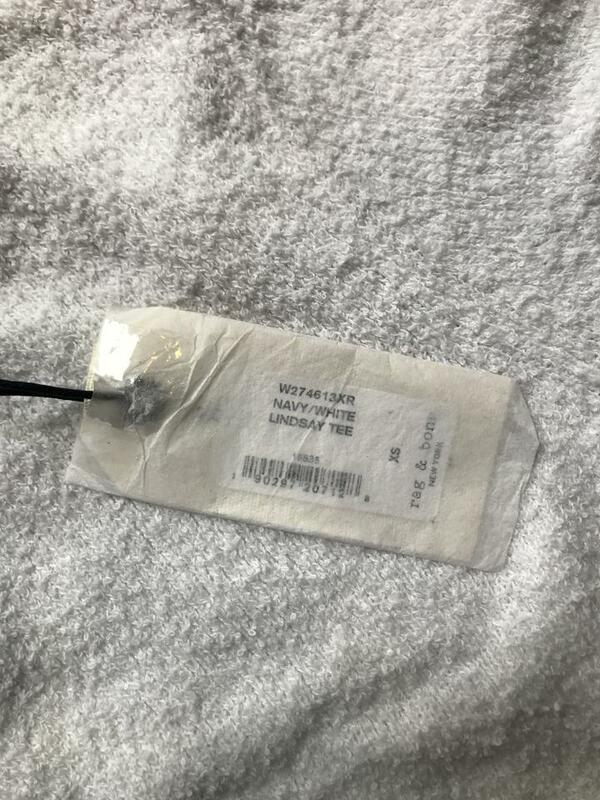 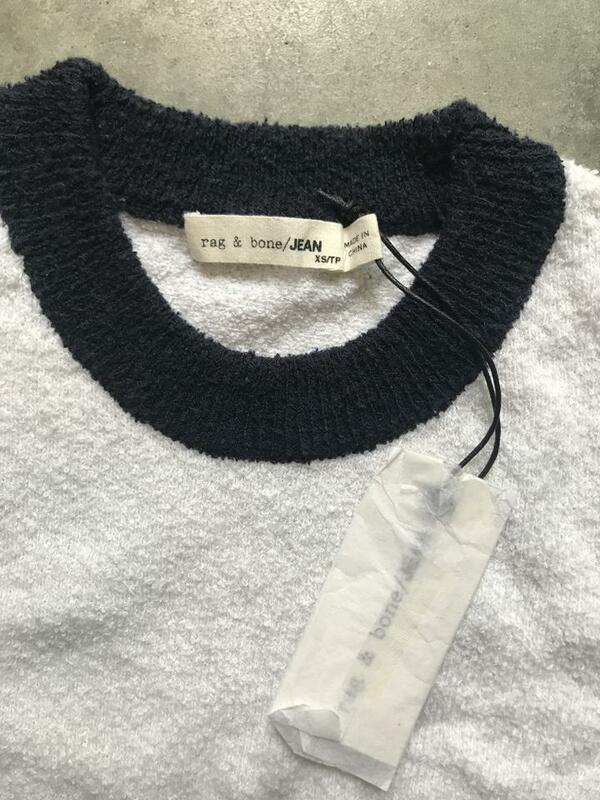 This is the Rag & Bone Linsday textured tee. Feels and looks like a short sleeve sweater. 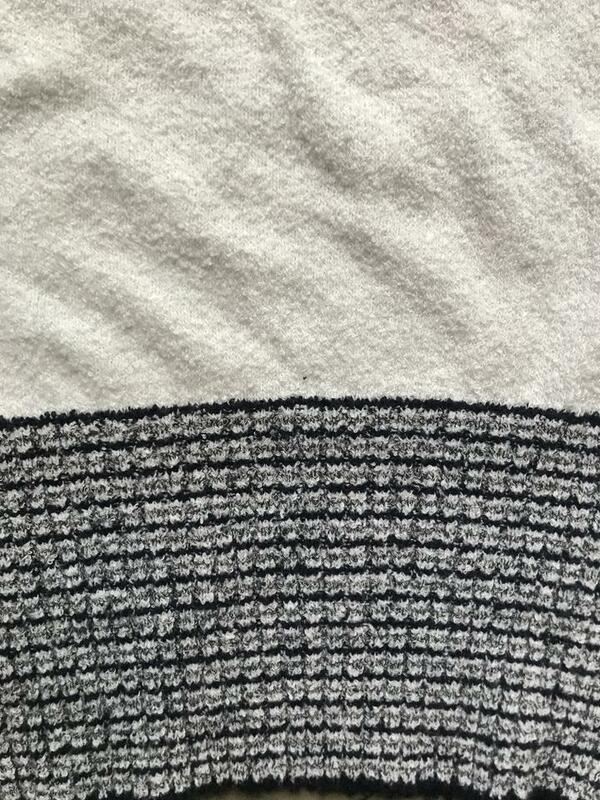 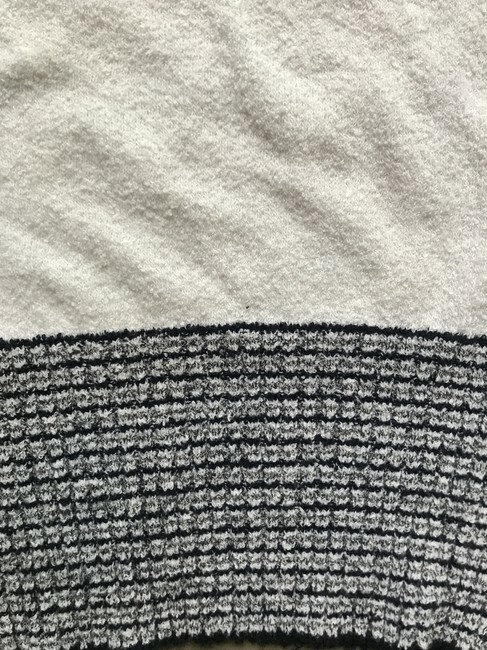 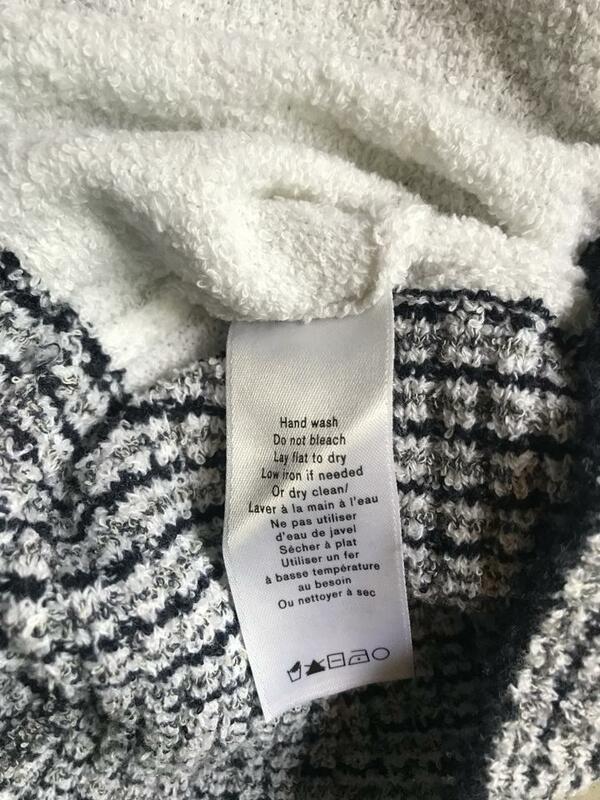 Bright white and navy with a terry cloth-like texture. 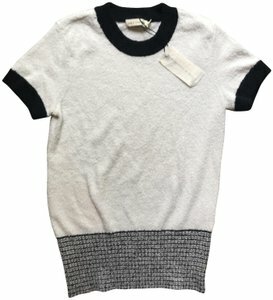 Pullover style, comfy and casual knitted T-shirt. Round neck, short sleeves, all-over fine knit, texture, patterned hem, ribbed trims.